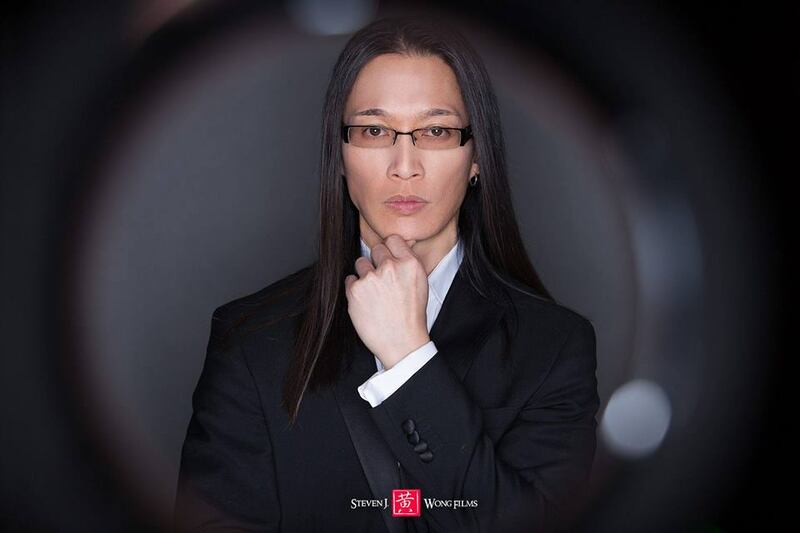 Filmmaker Steven J. Wong grew up in Oakville, Ontario, Canada and in his youth earned a third degree black belt in Tae Kwon Do prior to training and instructing traditional Hung Gar Style Kung Fu, which he has been practicing since 1986. In the late 1990′s Steven’s production background was primarily focused in the corporate and commercial world with clients such as Ford & Tim Horton’s and he has revisited this industry recently with commercials for premium brands such as Gatorade, Volkswagen and LG. Steven’s first documentary in 2006 captured the weeks leading up to the secret retirement of the 3-time world figure skating champion and 2-time Canadian Olympic Silver medalist, Elvis Stojko. In 2007, UFC fighter David “The Crow” Loiseau approached Steven to direct, produce and shoot a documentary, The Striking Truth (www.StrikingTruth.com), chronicling him and fellow UFC fighter Georges St-Pierre. Steven followed both athletes across North America and overseas to capture their ups and downs in their careers and in their lives outside of fighting. He was in their homes, backstage at their fights and covered their most intimate moments spanning almost four and a half years. Everything from self-doubt to their training secrets was captured and brought to the forefront resulting in a highly emotional and critically acclaimed human story. In 2013, Steven accepted a position with the Canadian National Mixed Martial Arts Federation as a National Director and was appointed as the Head Strength and Conditioning Coach for Team Canada. Also in 2013, Steven further pursued his passion for martial arts as he partnered with a WWE personality and founded Battle Arts Academy – a state of the art, 15 000 square foot MMA, Pro Wrestling and human performance facility in the Greater Toronto Area. Steven is currently in production of another feature length documentary film: Anti-Age Me (www.Anti-AgeMe.com, www.facebook.com/AntiAgeMe) a ground breaking feature spanning eight years of production, investigating fitness, nutrition, pro-active health, beauty, vitality and anti-aging, which will showcase a new cutting edge model of international distribution. With a proven track record of producing high quality films earning premium distribution with the likes of Alliance-Atlantis, Warner Brothers, Sony Pictures, Ascot Elite and Globo, Steven continues to strive to be at the forefront of the industry and is currently developing a new advanced model of film distribution by monetizing social media. This innovative system of monetization was the focus of his four-year project based Master’s thesis (which was awarded Distinction Honours) and will also be the focus for his PhD dissertation. Since 2014, Steven has been successfully utilizing his customized system of social media monetization with select elite personal fitness brands to create lifelong passive income structures ensuring that these athletes’ earning trajectories continues to rise long after they retire from active competition. This division of Steven J. Wong Films (online monetization, content marketing and talent acquisition & representation) has been a tremendous success and will continue to lead the industry with a dedicated team focused towards the analysis and interpretation of data, metrics, analytics, human behaviour, lead generation and audience building. Check out the ELITE ROSTER!